Guess Kitty is not a fan of sweet treats!! I am so impressed you did two recipes. The kitty looks impressed as well. Lol! Thanks Tessa, loved to be a guest on your blog! 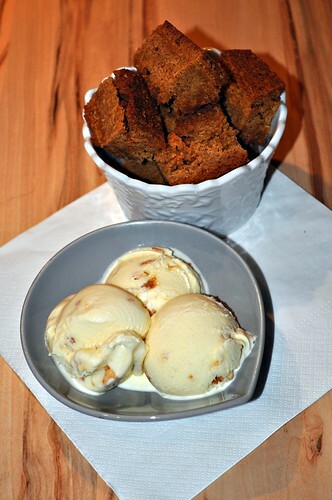 The brownies look wonderful and I love the sound of the salted caramel icecream. 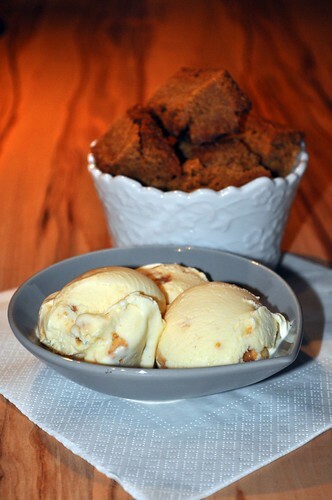 And does it ever look fantastic too (lovely photo - it's not easy to photograph icecream). What a perfect combination! Love it! This sounds like a match made in heaven!!! I can't wait to try both of these. Oh yes please! They look wonderful! Great job! Glad you enjoyed the recipes! Those bars are one of my absolute favorite desserts. Looks like the perfect combination. 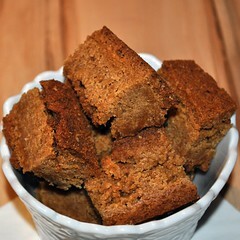 Those brownies sound REALLY yummy! Yum--that ice cream sounds and looks delicious! This looks like such an amazing dessert! 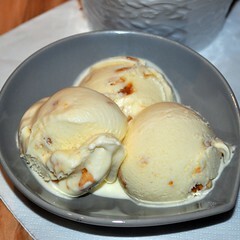 I love that ice cream - looks fantastic...I LOVE salted caramel ice cream, and the addition of macadamia nuts is lovely! 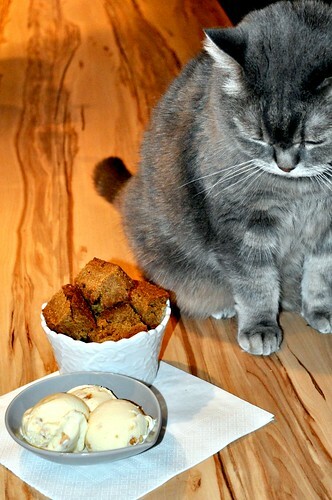 Two wonderful recipes and I think that Kashim is coveting that delicious looking ice cream.